Arrive Madras and Transfer to the hotel. Afternoon sightseeing. 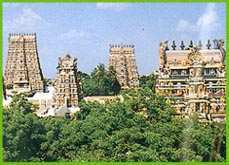 Full day tour to visit Temples at Kanchipuram and Mahabalipuram. Overnight at Mahabalipuram. Drive to Tanjore visiting en-route Temples of Chidambram and Darasuram. Overnight at Tanjore. Morning visit Brihadeshwara Temple. Afternoon drive to Trichy. Overnight at Trichy. 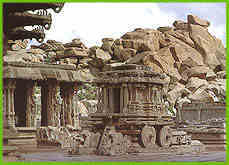 Morning visit Rock Fort Temple. Afternoon drive to Madurai. Overnight at the Hotel. Morning sightseeing tour of Madurai. Afternoon at leisure. Evening witness Prayer. Ceremony at Meenakshi Temple. Transfer to the airport for flight to Madras/Onwards destination.